For the video, please click here . Singapore, 25 April 2013 – A team of researchers led by Associate Professor Edward L. Webb of the National University of Singapore (NUS) is calling for the global adoption of a method to identify areas that are vulnerable to sea-level rise. 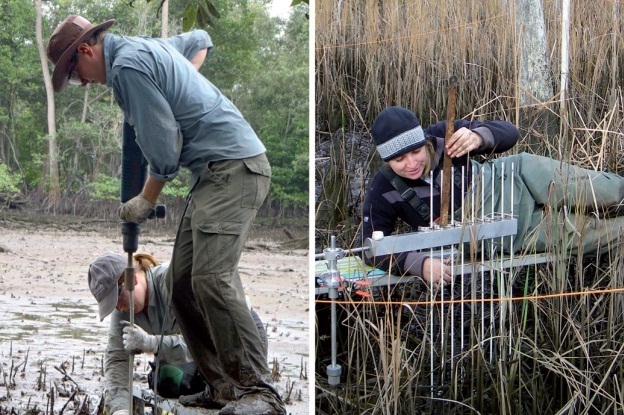 The method, which utilises a simple, low-cost tool, is financially and technically accessible to every country with coastal wet­lands. The team seeks to establish a network to coordinate the standardisation and management of the data, as well as to provide a platform for collaboration. The findings were first published in the journal Nature Climate Change on 25 April 2013. Enter your original unpublished poetry in The Goh Sin Tub Creative Writing Competition 2013 (Poetry) now and stand to win! The biennial Goh Sin Tub Creative Writing Prize is a gift from Dr Sylvia Goh to NUS in memory and recognition of her late husband Goh Sin Tub, one of Singapore’s best-known writers. 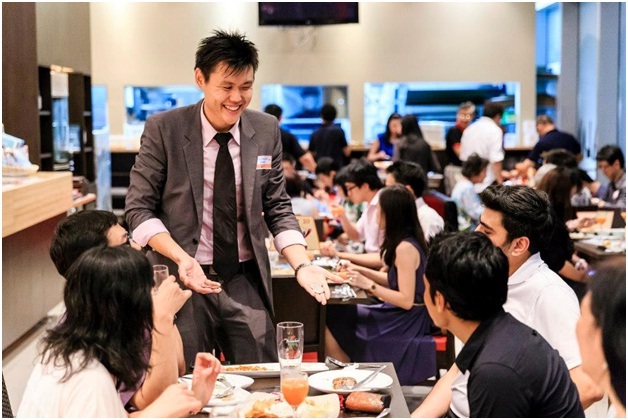 The Competition is open to all members of the NUS community. The closing date for receipt of entries is at 5pm on 30 August 2013. The National University of Singapore‘s Department of Political Science is proud to announce the 2nd Annual IPSA-NUS Summer School for Social Science Research Methods, July 8-19, 2013. The Summer School is organised in cooperation with the International Political Science Association. 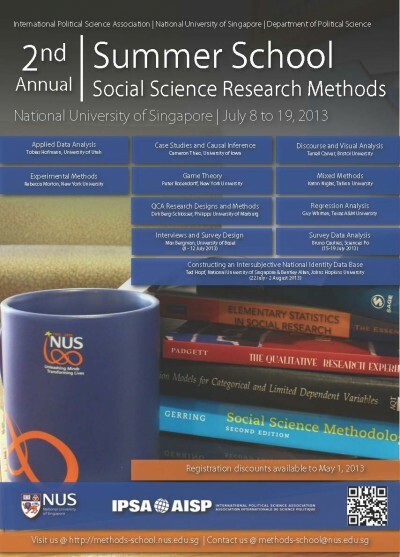 IPSA’s mission is to promote empirical research in political science and related disciplines around the world, and the IPSA-NUS Methods Summer School forms the Asian-Pacific hub in a global network of methods schools, with other summer schools hosted at the University of São Paulo and the University of Stellenbosch. This is the second annual Summer School, and this year, several basic and advanced courses have been added to our roster, such as Applied Data Analysis, Causal Inference, and Game Theory. 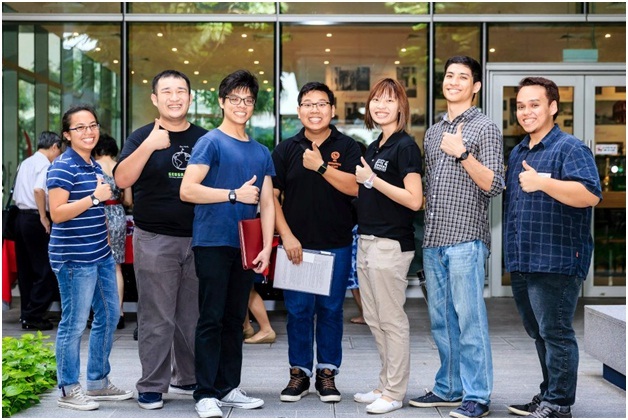 More information about the various courses on offer, testimonials from last years’ participants, as well as details on financial aid can be found on our website: http://methods-school.nus.edu.sg/index.html. 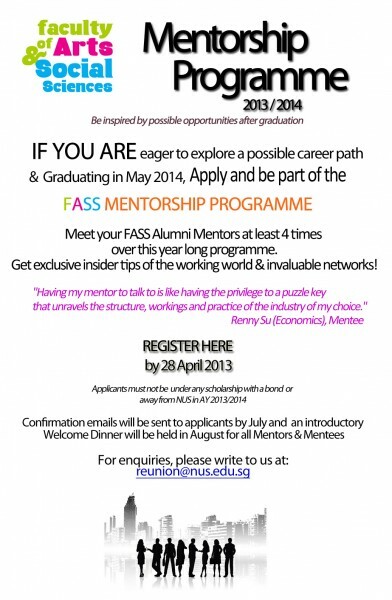 FASS Mentorship Programme 2013 – Applications Open Now! Not sure about your career choices, which jobs fit you, how to prepare for your dream job or what it entails? Let an FASS alumnus be your guide and helping hand to answer your queries about the working world. Please APPLY HERE by 28 April 2013. If you have any queries, please write to reunion@nus.edu.sg. 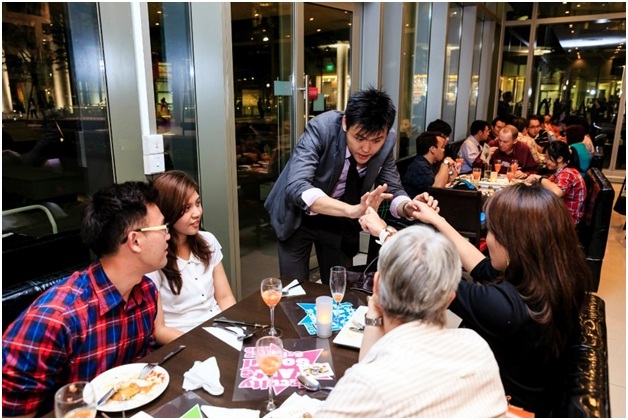 Joined by over 50 guests, Professor Brenda Yeoh (Dean, Faculty of Arts and Social Sciences) hosted the second FASS Alumni Dinner and walking tour at University Town on 21 March 2013. With the completion of the Stephen Riady Centre, eight FASS undergraduates walked the alumni visitors through the centre as well as Educational Resource Centre and the residential colleges. The alum marveled at the beautiful architecture and impressive sports and social amenities. Entertainment for the evening was provided by a magician, a FASS alumnus no less, Mr Alexander Yuen (B Soc Sci (Hons) Psychology 2012). The dinner ended on a high note with many of the alum expressing a desire to return to reconnect with friends and faculty members, and revel in the ‘good old days’. 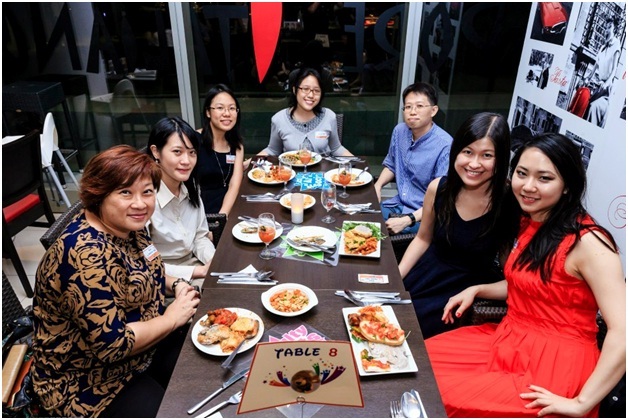 “Attending the dinner certainly brought back memories but I certainly would love to be a student now given what NUS has become.” – Sunit Singh (English Studies Class of 2004). “There is a misconception that FASS Alumni activities are occasions to solicit donations and support for the Faculty. Neither are they just nostalgic trips down memory lane. 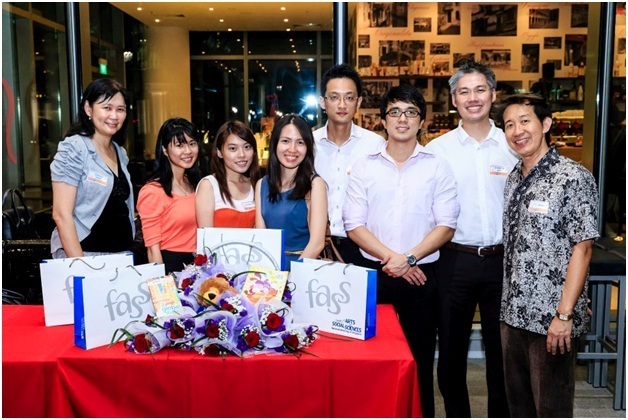 I brought two former varsity classmates to the FASS Alumni Dinner on March 21st. They were pleasantly surprised. The dinner like all other alumni activities provided us with an opportunity to meet new friends and reconnect with long – lost varsity acquaintances. We shared our experiences with younger graduates and also learnt from them the new challenges that young graduates face these days. These networking and sharing sessions are indeed invaluable for personal and professional growth. 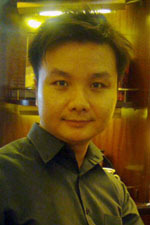 The Faculty of Arts and Social Sciences extends the warmest congratulations to Dr. Lim Wee Hun Stephen who has, on 22nd March 2013, been named by the International Biographical Centre (IBC) as a member of the TOP 100 EDUCATORS 2013. Congratulations, Dr. Lim, on receiving this international recognition! Lecture by Prof Michel Hockx, Professor of Chinese, School of Oriental and African Studies (SOAS), University of London. *All guests are invited to a buffet reception at 6pm before the start of lecture. Please refer to the attached for more information and registration. 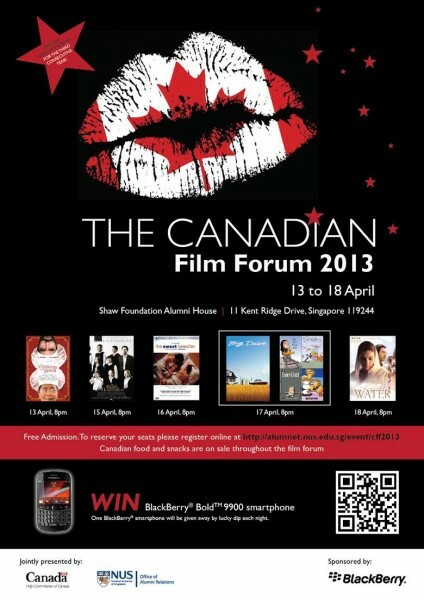 You are cordially invited to the Canadian Film Forum 2013! This is the 3rd consecutive year of partnership between the High Commission of Canada and the NUS Office of Alumni Relations that aims to bring the best of Canadian films to the NUS community. Head over to our website for more information about the selected films & registration. *Do note that the tickets will be allocated on a first come-first served-basis. Due to limited seating, a confirmation email will only be sent to you after the registration has closed on 1 April 2013 to confirm your booking. 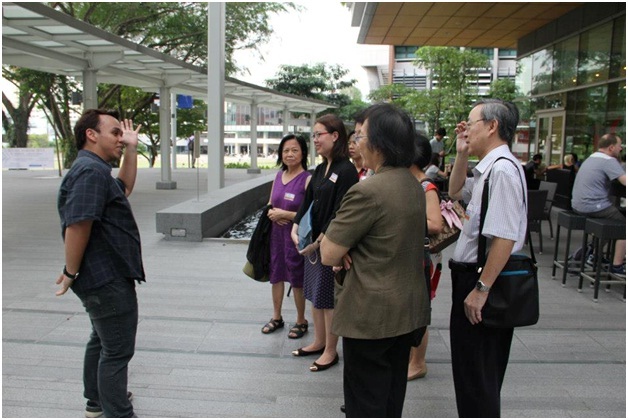 So hurry on to alumnet.nus.edu.sg/event/cff2013 to reserve your seats!